Thierry Henry has reiterated that he would be interested in succeeding Arsene Wenger as the club's manager should the opportunity arise. Speculation over Wenger's future is once again the topic of intense debate after the Gunners were beaten by Brighton & Hove Albion this afternoon - their fourth consecutive defeat across all competitions. The run makes for Arsenal's worst spell of form for 16 years, and more importantly leaves them 13 points off the pace in the race for Champions League football, and Henry insists that he would not back down from the challenge of taking over from the long-serving Frenchman. "Listen, I'm a competitor, you don't back down from a challenge. We are hypothetically speaking before people jump ahead of everything, but I have never backed down from a challenge since I was young. 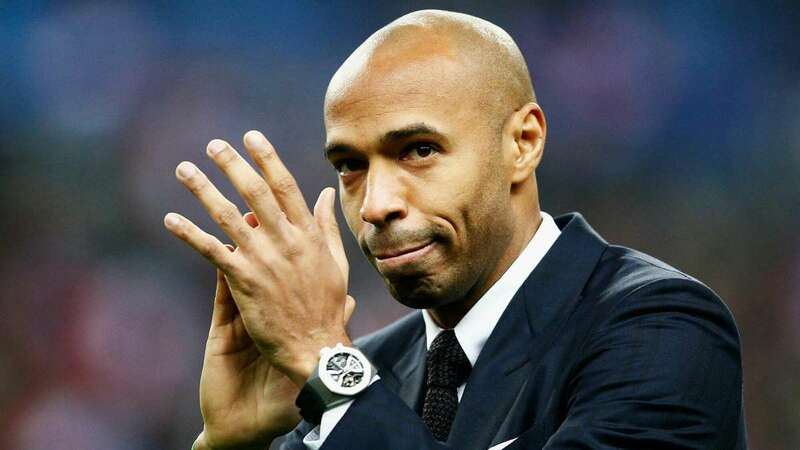 If I had listened to people who were talking about where I was going to be, I would not have been here," Henry told Sky Sports News. "When I arrived at Arsenal, they said to me, 'Why are you outside of the box, you will never score goals?' with my position being on the left or whatever it was. You don't back down from a challenge, you always think that you can. When I came back to play for Arsenal, everybody, all my friends were saying, 'It can only tarnish your legacy, why are you going back there?'. "If you love a place and they ask - I repeat, they ask - for help, you are always going to say yes. What I am saying to you is again, we are talking about hypothetical thoughts. We are talking about shall he quit or not - I can never say that. I am not sitting on the fence, I can never say that. "I have battled with this man, I can never say that. Do you understand what I mean? I can never say that. What I don't want to see is what's happening to him, and I would like him to have the last word, whatever word it's going to be." Henry scored a club-record 228 goals for Arsenal, helping the Gunners to two league titles and three FA Cups under Wenger.